Open House Party this Friday! We are preparing for our rapidly approaching BodyPoint Medicine Open House Party! We will have food, drinks, and drawings for FREE treatments with Dr. Donna Mitchell and Shevone DiSanti. We are ecstatic to be showing off our brand new space to all our clientele– old and new! Feel free to call Carolyn Wrightam, Office Manager, for more information! Thank you all for all of your hard work in getting BodyPoint Medicine off the ground! A Successful First Week in Office! Well, Ladies and Gentlemen, I believe our first week open as BodyPoint Medicine was a hit! Thank you all for your warm feedback–your opinions mean quite a bit to this small business! As a small clinic that is dedicated to providing the ultimate patient experience, we want to take the time to thank all of our patients that entrusts our team with your health and wellness needs. As your local body mechanics, we are dedicated to providing quality care that is convenient and also puts the patient first. Thank you for working with us through this transitional period as we strive to become a better wellness source. To show our appreciation to our fans and patients, we are throwing a Party! We will have treats and drinks, as well as information and some limited services for all who come! 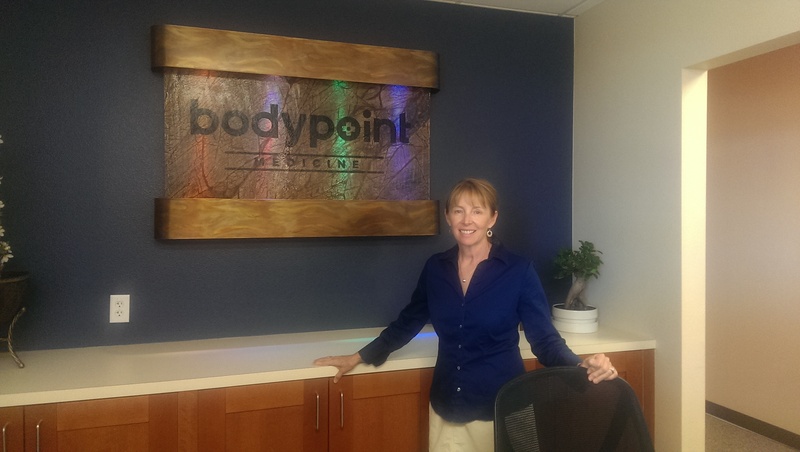 THANK YOU BODYPOINT MEDICINE FANS! 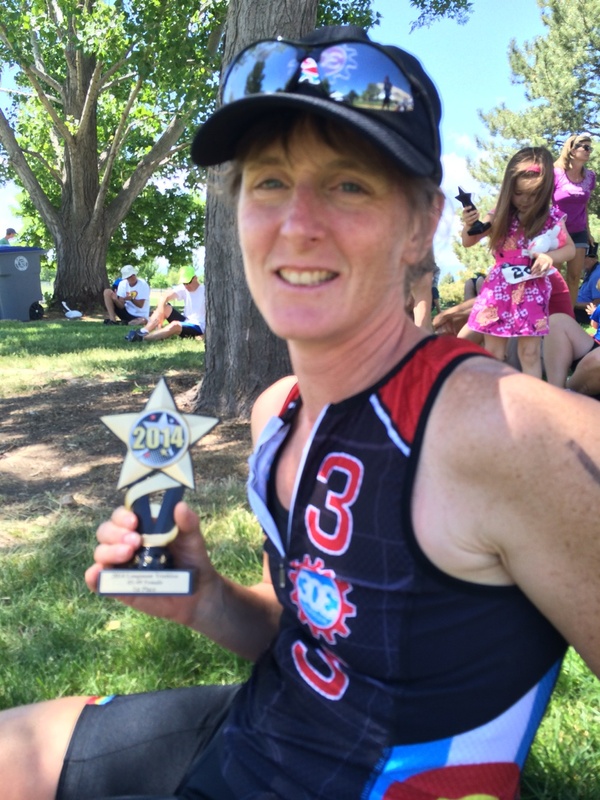 BodyPoint Presence at the Longmont Triathlon! 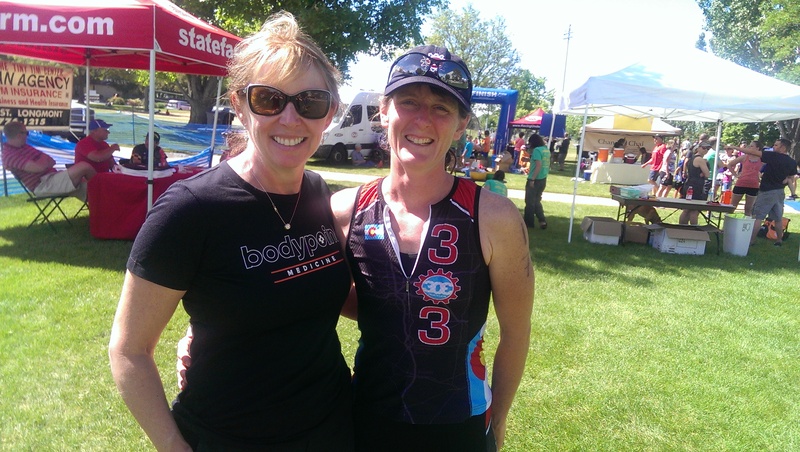 BodyPoint Medicine was represented at the 33rd Annual Longmont Triathlon this last weekend by our providers Dr. Donna Mitchell and Shevone DiSanti (and me!). Our nearest and dearest massage therapist, Shevone, helped a slew of athletes through their injuries and aching muscles by being at hand on the finish line, massage table at the ready! I was wowed by the huge crowds at the event and impressed by the out-and-out THRONG of volunteers scuttling back and forth all weekend long, smiles on every face. Longmont’s very own Dennis Coombs, mayor of the city, finished at 1:17:42, and Bob Cranny, our favorite PT of Altitude Physical Therapy & Sports Medicine, finished in THIRD overall, at 1:01:10. I do have to admit, I was rooting (hollering a bit, honestly) for our favorite athlete, our Mad Running Mom, Jennifer Findley, who finished 1st in her age group, and was the 2nd female finisher overall with the time of 1:08:53! Congratulations again! 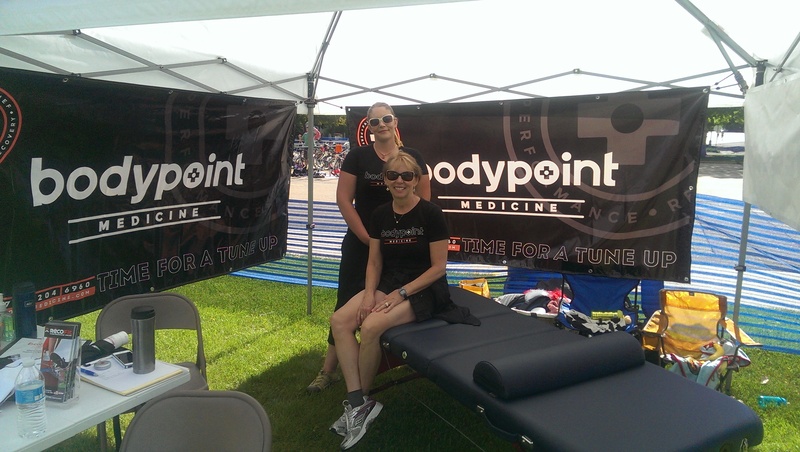 BodyPoint Medicine did get some exposure this weekend (which was great) and we also got some sun exposure (which wasn’t as great) but all in all, I would have to say it was a wonderful experience to reach out to our community and sponsor this triathlon! Thank you for everything this weekend and we hope to see you out at an event sometime in the very near future!